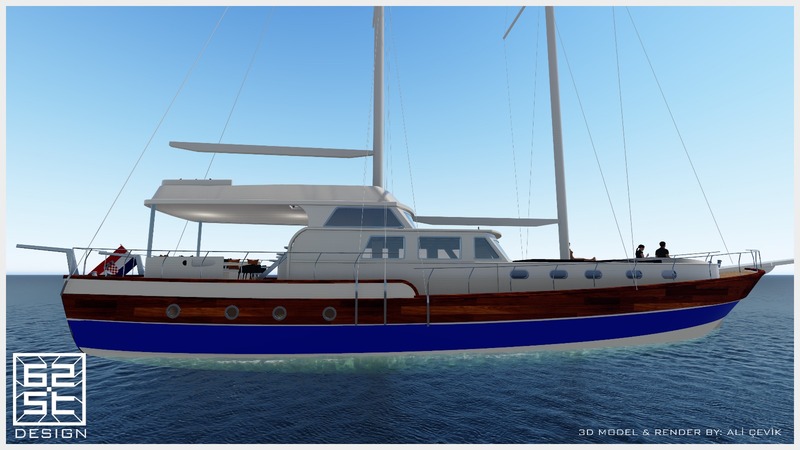 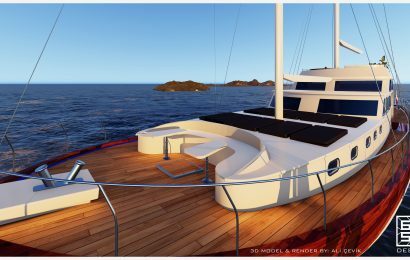 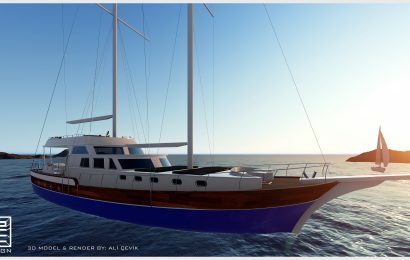 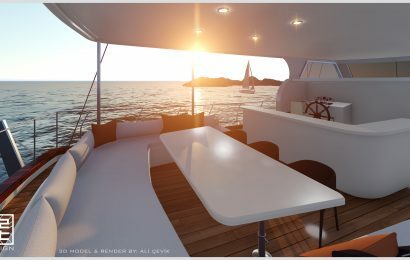 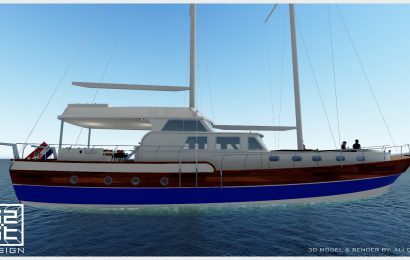 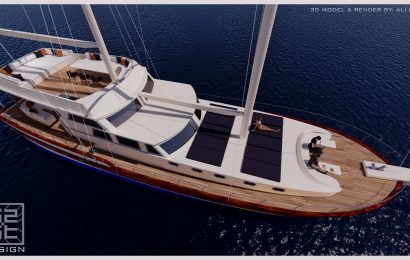 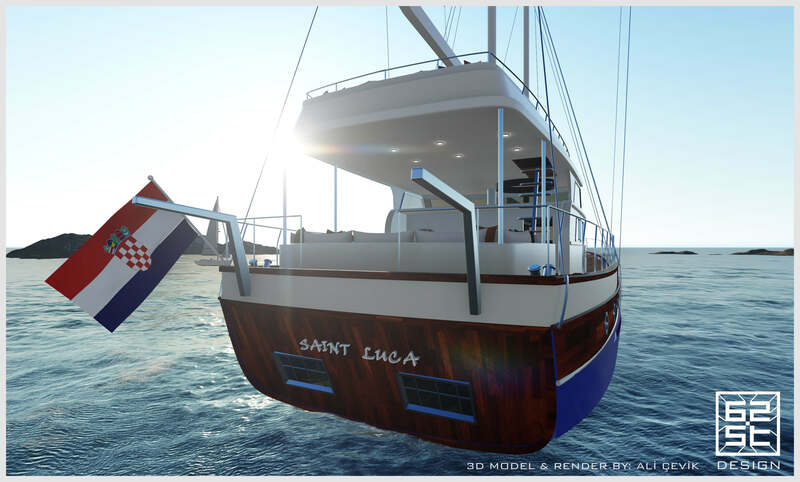 Gulet Saint Luca is newly built boat in 2019 year. 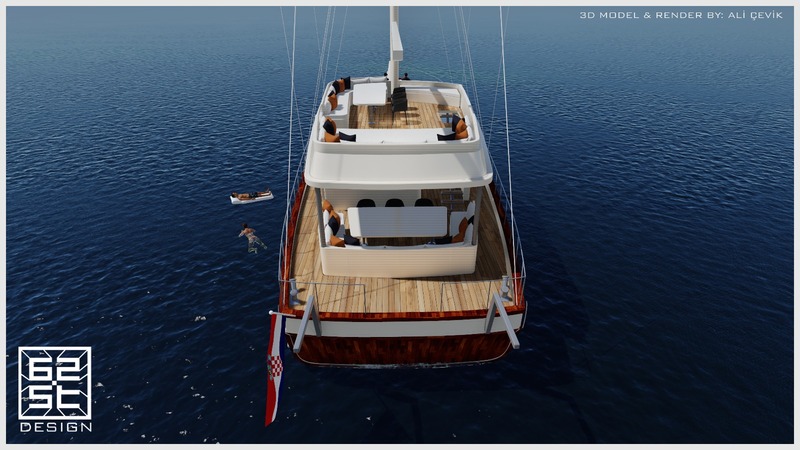 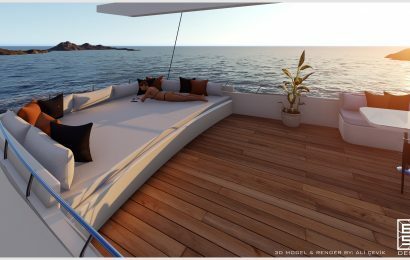 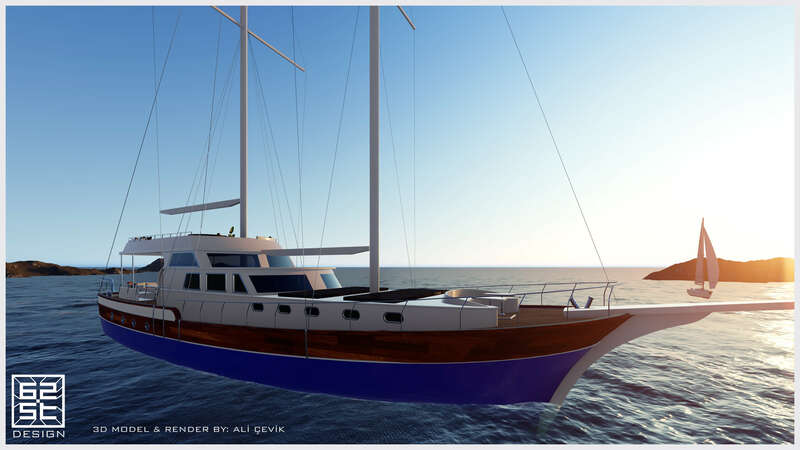 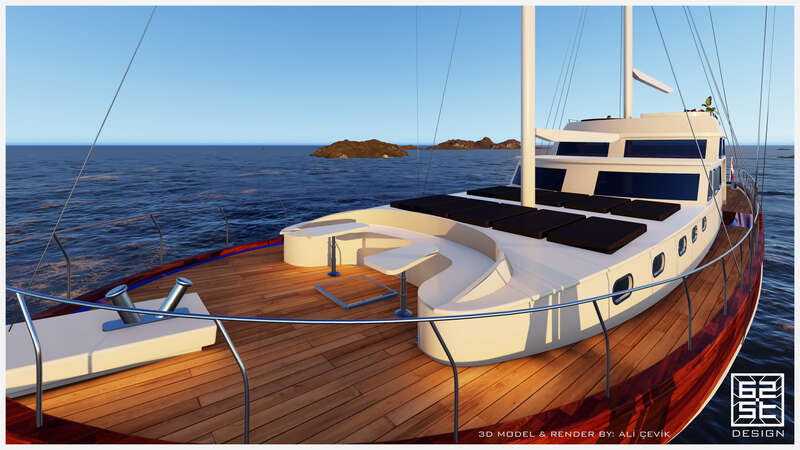 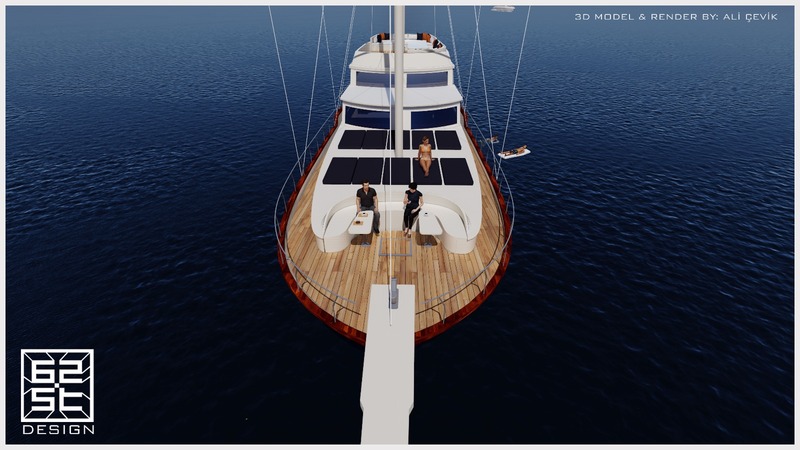 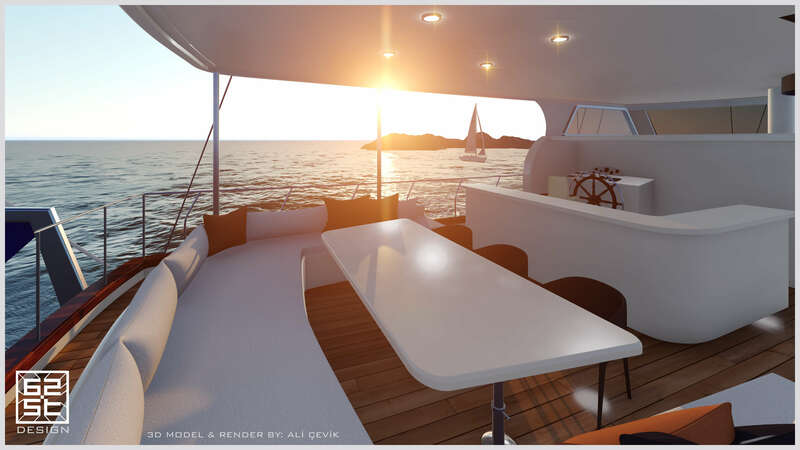 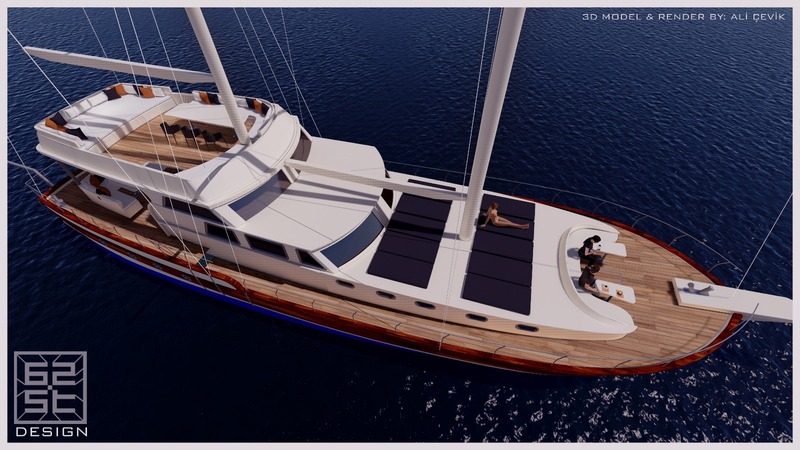 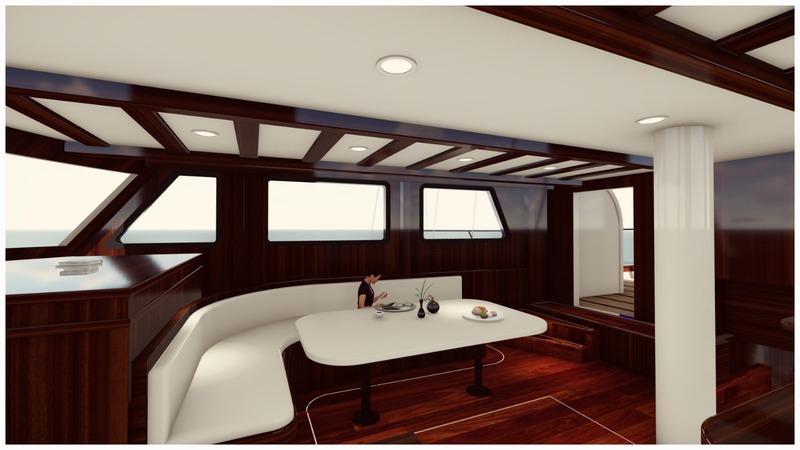 This beautiful modern Gulet will make your holidays unforgettable. 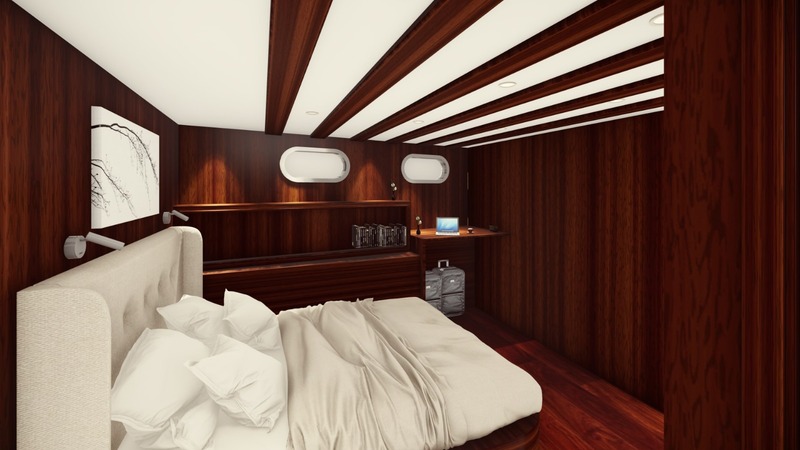 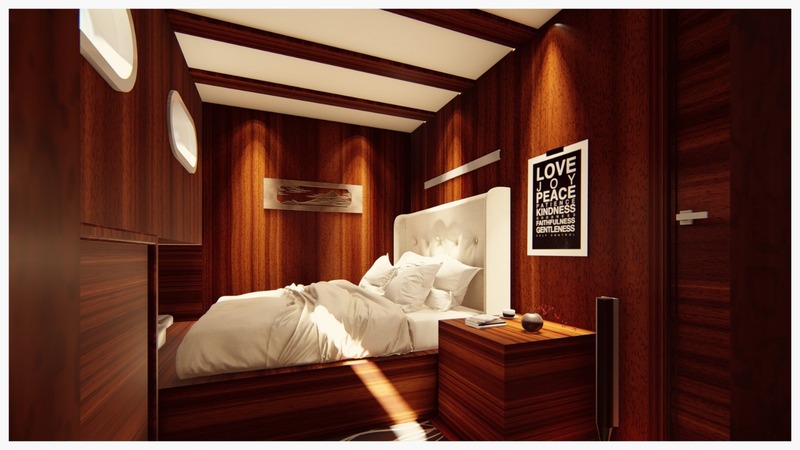 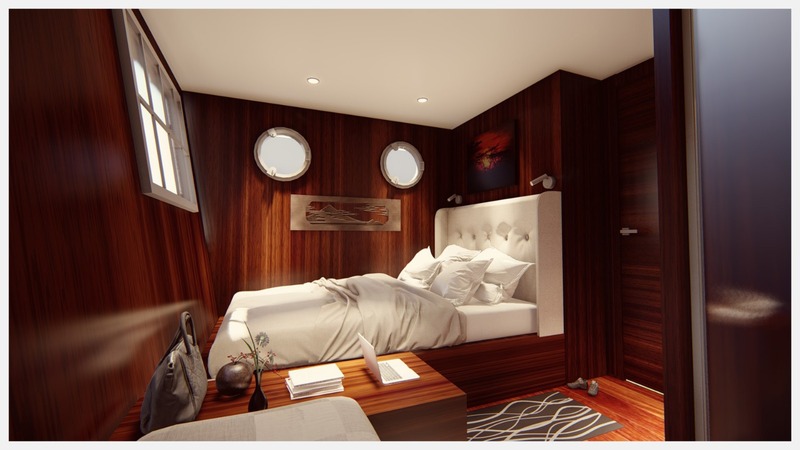 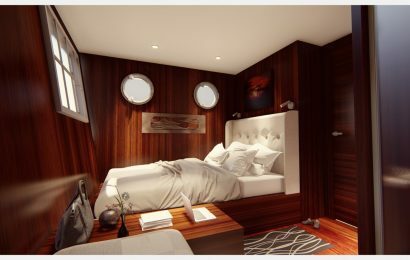 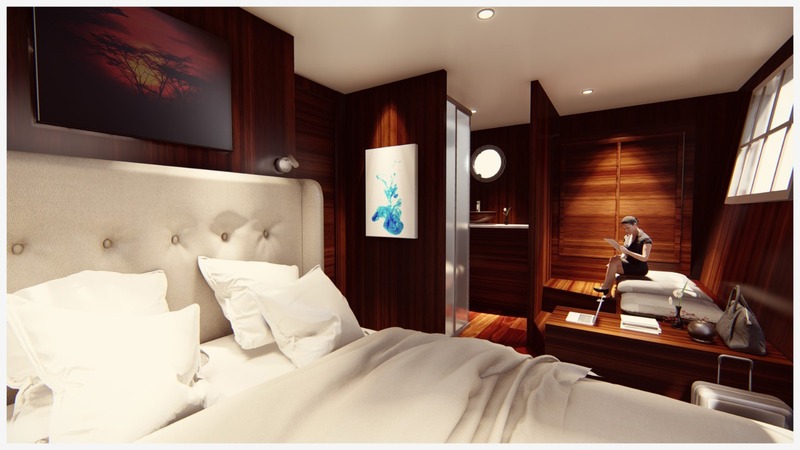 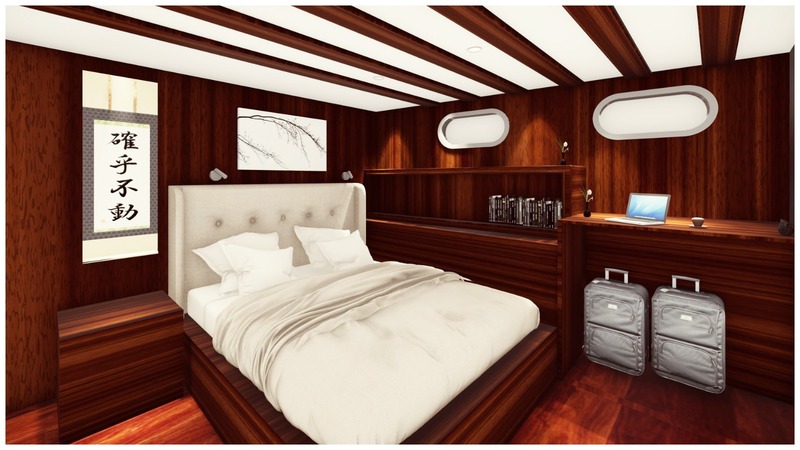 You will enjoy in 2 master and 3 double cabins which are very comfortable. 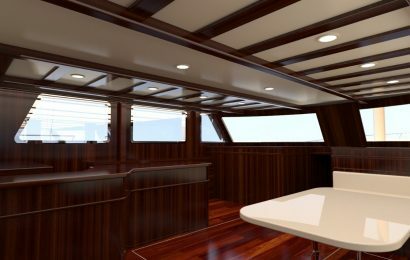 On the Gulet Saint Luca always will be at your disposal 4 members of the Crew, experienced Captain, creative Chef, capable deckhand and kind hostess. 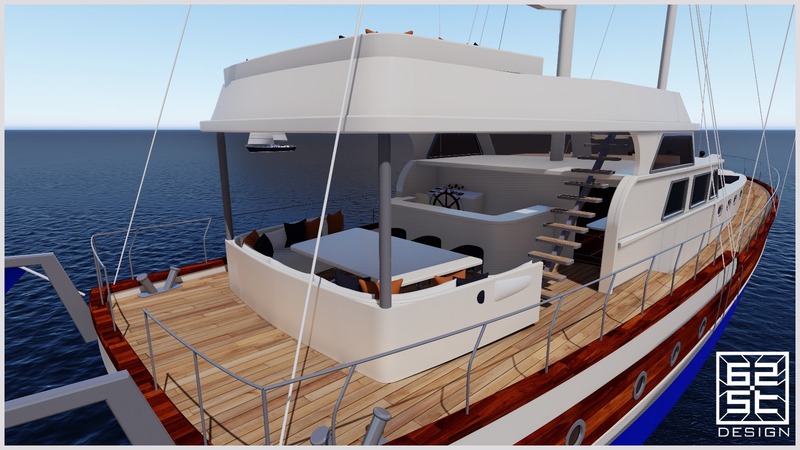 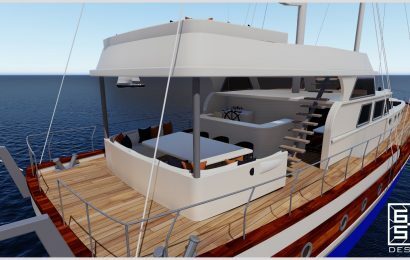 On the deck of the boat you will find everything you will need to have relaxing summer day. 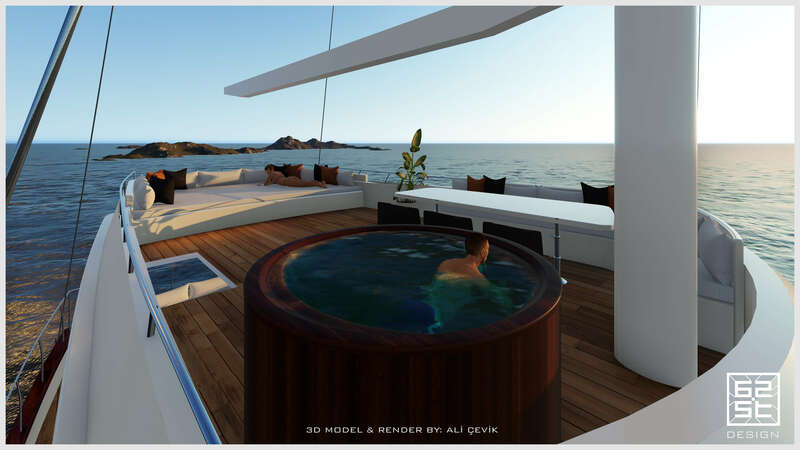 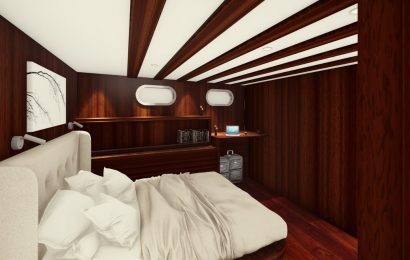 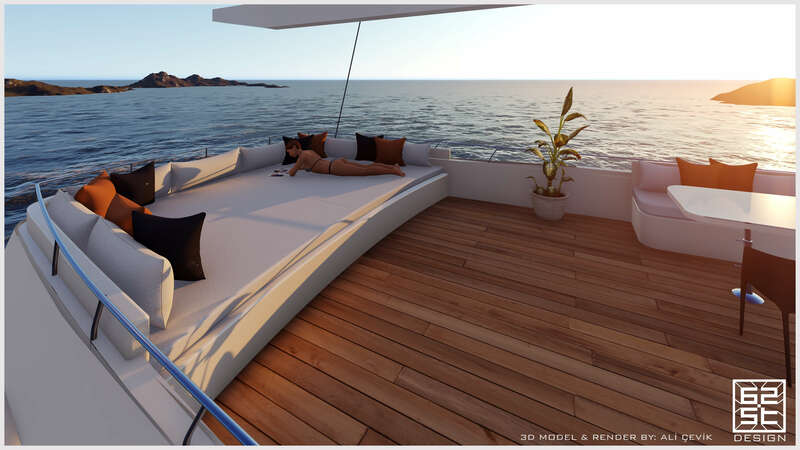 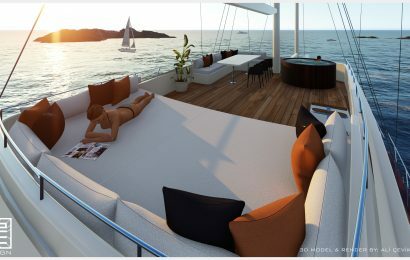 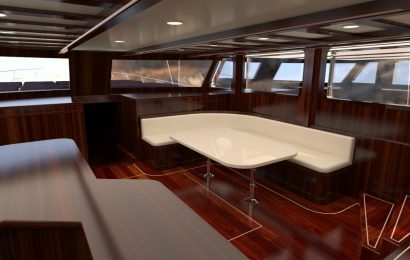 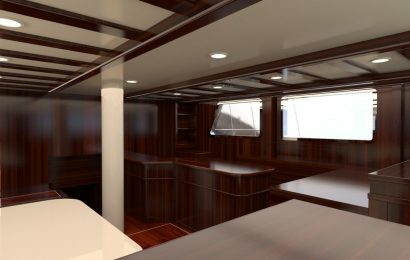 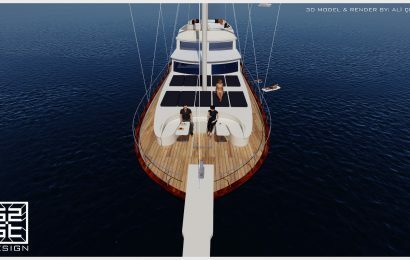 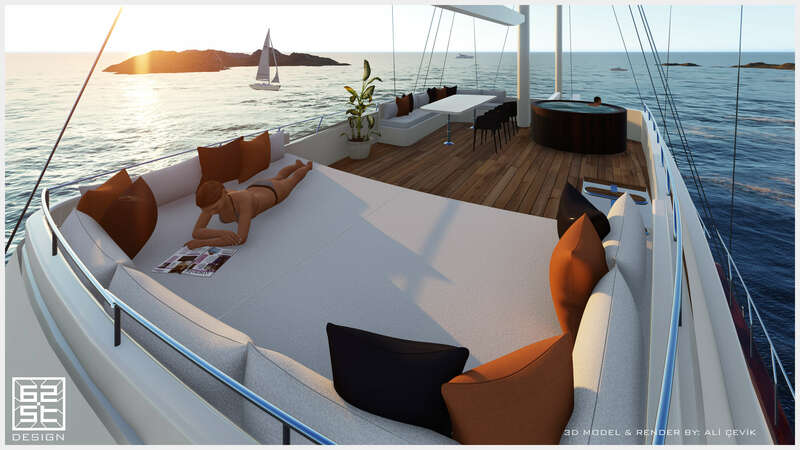 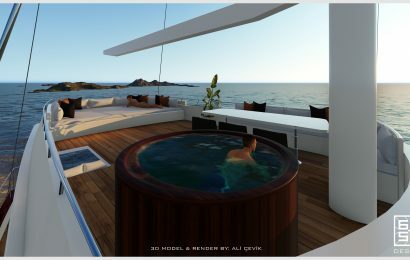 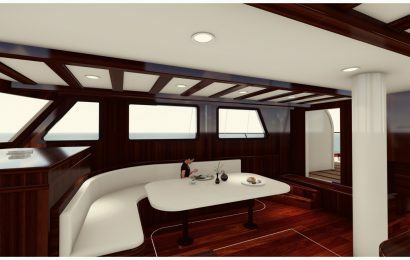 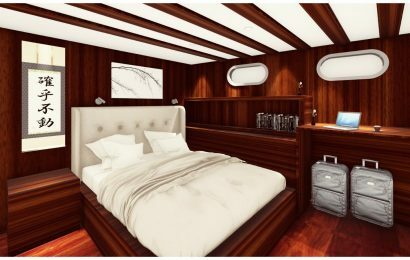 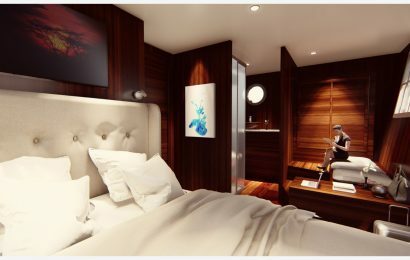 From spacious stern, necessary sun awings and sun mattresses to magnificent Fly bridge where you can enjoy in the jacuzzi. 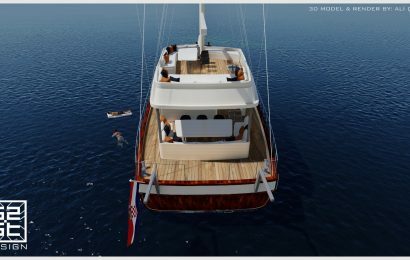 If you like having fun at the sea you will be able to use: Water Ski, Canoes, Ringos, Stand up Paddle bord ect. 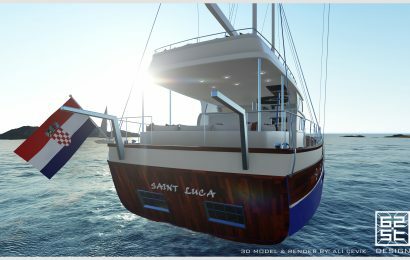 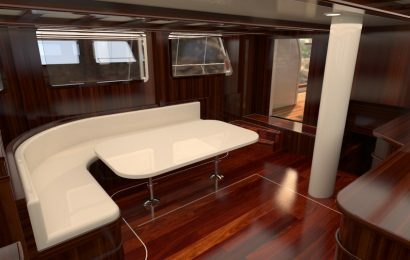 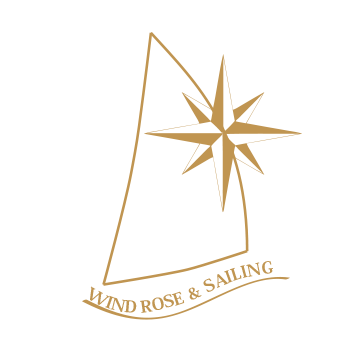 If you are group of 10 people and you are looking for perfect yacht, Saint Luca will be the best choice for you.